Did you Google “bifold doors Macclesfield” because you are on the lookout for a local company who can manufacture and install this fantastic solution at your property? If that accurately describes your current situation, then you have struck gold by discovering ClearView today. With over a decade of experience behind us, we are ideally placed to be your one stop shop for bifold doors. Don’t hesitate to get in touch with our sales team at your earliest convenience on our Freephone line 0800 1357 167. 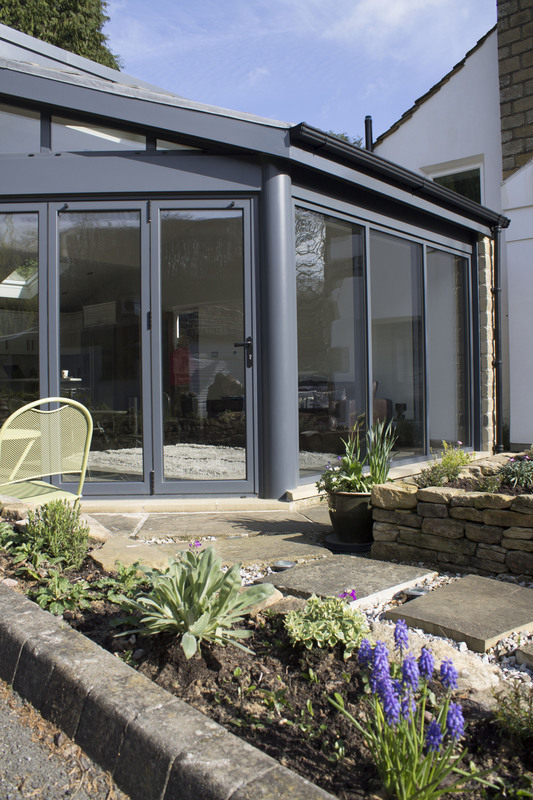 While the opinions can vary, bifold doors Macclesfield are generally defined as multi-folding doors that create a clear opening and offer you full access to your outside garden area. These types of doors will open in a concertina style and neatly fold whether installed on the interior or the exterior of the property. Here at ClearView, we construct our Macclesfield bifold doors from strong lightweight aluminium that is highly versatile. Our materials are of the best possible quality, which is why we offer a 10-year guarantee on all of our products. Other types of solutions often used for a similar purpose include patio or French doors. However, bifold doors Macclesfield stand out because they will give you a 90% opening whereas the alternatives will only offer 40%. Bifold doors in Macclesfield are an increasingly popular choice for homeowners. As a great addition to any home, they will open your living spaces up in ways you never thought possible before. Please keep reading below to discover all of the benefits that our high quality doors will bring you. Regardless of whether your bifold doors Macclesfield are open or closed, they will allow in a maximum amount of natural light, which will make your living space considerably airier and more pleasant to spend time in. Macclesfield bifold doors differ from conventional sliding entrances because they easily fold back in. This means that the space used will be minimal and you can enjoy the amazing outside view without any extra effort. Patio doors slide behind another door or a window, whereas bifold doors will simply collapse back on themselves. This opens your wall up for a great view without needing to utilise any additional space. 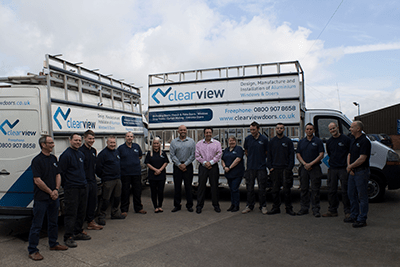 One of the key reasons that people opt for bifold doors Macclesfield based ClearView specialises in is the added level of security they provide. Our doors have multiple locking systems and high-security hinges, so you can rest assured knowing you are choosing a safe solution. You will not need to worry about regular upkeep with our bifold doors in Macclesfield. All you need to do to clean them is use warm water and a standard household detergent. At ClearView, we have an excellent range of styles and colours that you can choose from. Our doors will give your home a luxurious aesthetic and you will be able to upgrade your property into something truly modern. Why choose ClearView’s Macclesfield bifold doors? We are one of the largest manufacturers of bifold doors in the North of England. All of our products have been carefully crafted from the highest quality thermally broken aluminium. When it comes to versatility, strength and aesthetics, you can’t go wrong with our top of the line aluminium solutions. Customer service is at the heart of everything that we do. Our aim with each new project is the establishment of a long-term working relationship. We are very happy to say that a significant amount of new requests now come our way through referrals and recommendations. How do I order a set of bifold doors Macclesfield will be impressed by? Reach out to our friendly sales team to discuss your requirements. We will arrange a suitable date to carry out a survey at your property. Whether you know exactly what you’re looking for or require some advice from our experts, we are here to help. Once you have chosen your perfect product, we will take measurements to confirm suitability. You will then be issued with a detailed written quotation for the work. The price you agree is the price that you will end up paying once the doors have been installed. With our company, you will never need to worry about hidden fees or other unwanted surprises. When your doors have been assembled at our purpose built factory, we will send a fitting team over to install them for you. These installations can normally be completed in a matter of hours and you can enjoy your new doors immediately. 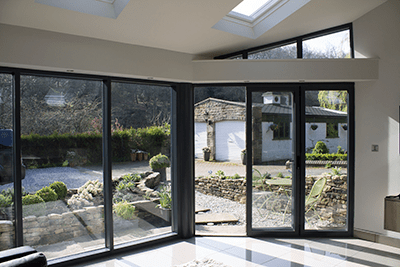 As you will be able to tell from the preceding information, ClearView truly stands out from the competition when it comes to bifold door suppliers in the North of England. Should you have any more questions about our products or services, please do not hesitate to reach out using one of the below contact methods. We are always here to help and look forward to hearing from you very soon! Are you ready to start benefiting from the highest quality bifold doors Macclesfield residents have ever seen? If so, then reach out to ClearView at your earliest convenience! Please feel free to either call us on 0800 1357 167, e-mail your details over to sales@clearviewdoors.co.uk or fill out our online request form. We will get back to you as soon as possible using your preferred method of contact.